Just about every child can relate to comics and animated movies. That´s why comics is a great tool to use in education. Another advantage is that comics can be used in almost all subjects and ages. An easy way to get started if you never used comics in education earlier is to introduce one of these tools in class and then the homework will be to create a comic that correlate to the stuff you´re working with at the moment. The next lesson is used to discuss the homework (comics). An example: The students get an assignment as homework to create a mathproblem as a comic til next lesson. Next lesson the students solve each others mathproblems and you can discuss some of them in class as well. I promise the homework have never been this much fun! Available for PC, Mac and as an app. The free version is limited and the full version is a bit expensive, especially for PC/Mac. The app is cheaper, but not the cheapest of apps. You can use Comic life for lots of different things, from making very visual lessonplans to homework to… Your (or your students) imagination is the limitation. Advantages: There is a free version. Disadvantages: The free version is limited. Advantages: Available for PC, Mac and as an app. Easy to learn. Disadvantages: If you want to do more (for example other pictures) than what´s included there will be some extra work. Not the cheapest of apps. Advantages: Free. Lots of different languages available. Easy to use. There is a classroom bundle. Disadvantages: The free version is limited in content (but still useful). Disadvantages: Free version is limited. Animoto Share movies and photos as a video. Advantage: Easy to use. Limited free version. Disadvantage: Paid version to unlock more content. Advantage: A way to create a virtual room for the content created in ToonDoo. Disadvantage: Cost (depending on the number of users). Disadvantage: Darker comics (a bit like ”Halloween”), gives different kind of comics. Online service containing free content and extended content for paying customers. Demands registration. The same company has the app Cartoonist, which is available in an edu-version as well as a normal version (with in-app purchase). Has great potential, but the ”hidden” cost of unlocking content is a big drawback. The learning curve for the app is steeper than most of the others. If you´re willing to spend some time with the app the animations can be rewarding. You probably want to unlock the content if you´re going to use the app. Younger students like to use this app. Test the free version and if you like it, buy the fullversion. I have only tried version 1, so I don´t know what improvements they´ve made. This is a free version of the paid app called Animation Studio. Think animated stickmen and you get the feeling of what this app is about. Test the free version and if you like it, buy the fullversion.Looks like a good tool if you take the time to learn all the features. 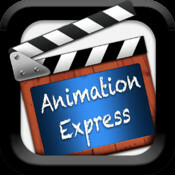 This is the full (paid) version of Animation express. Story Wheel An app where you can create a story from a picture. Cartoon video maker Free and paid version. Sock puppet Free and paid version. Plastic Animation Studio In app-purchase. Vintage People An app where you can add modern portraits into old pictures. ZooBurst For younger kids. Create 3D-pop-up books. Atmospohir Creaate your own games. http://www.abcya.com/animate.htm Animate is available as an app as well, for younger kids. Creates a gif. http://cartoon.pho.to/ Make pictures for comics. http://crazytalk.reallusion.com/ Very expensive. Animate talking faces. Good luck with your creation of comics! If you know of another good tool for creating comics, feel free to let me know by commenting below!